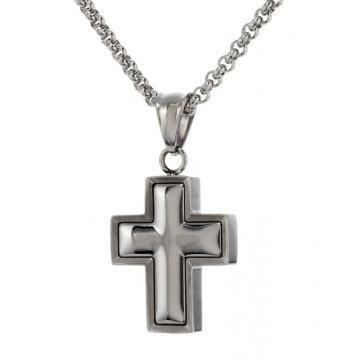 Stainless Steel Pendant This distinctive cross is created in durable stainless steel for carefree wear. Both men and women will enjoy the elegant beveled-edge styling and the comfortable 20-inch stainless steel chain. 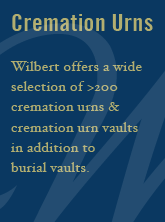 The pendant is chambered to hold a small portion of cremated remains, via the small threaded opening on the bottom.